If you’re not a big fan of Mondays, all that could change with Paddy Power Bingo’s Guaranteed Mondays promo. There’s guaranteed jackpots up for grabs between 7pm and 11pm in the Gold Room with an increase every thirty minutes. The first game kicks off at 7pm and has a guaranteed prize of £400 with the last game of the night at 11pm finishing on with a £650 prize. There’s more than £3500 in guaranteed jackpots every Monday so start your week on a high note and visit Paddy Power Bingo every Monday. The beginning of the week is also home to Moneyback Mondays with 3 x £100 guaranteed games between 7pm and 10pm in the Sapphire Room which see losers receiving back whatever they wager on each of the games! It’s a win, win situation as either way you get something back! 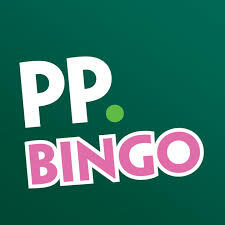 There is also a Penny Bingo hour which runs Monday through to Wednesday between 11am and Midday so you can have a cheap game or ten up until midweek every week at Paddy Power. Cheap Ticket Tuesdays offer 1p, 2p and 5p tickets from 9am til 12pm. Visit the Gold Room between these times on a Tuesday morning and get your bargin bingo fix. Later on in the day you can win on 1TG where there’s 0.50 BBs for all Full House Losers or 1TG winners if you prefer! Games take place between 8pm and 11pm in the Sapphire Room. There’s ‘Midweek Madness’ on Wednesday with £3000 in guaranteed prizes for Full House, one and two line winners between 7pm and 11pm. The minimum prize is £150 so this is definitely one to beat those midweek blues. All bingo players who have a game on a Wednesday will get 50p free in Paddy’s ‘Free 50p For All’ promotion which is sure to please you freebie lovers. There’s more big money up for grabs on Thursday with £2500 in guaranteed prizes. Tickets cost just 50p and £500 guaranteed jackpots will go every hour on the hour between 8pm and 11pm with £250 jackpots will be won every half an hour! The games take place in the Gold room and you can pre-order your tickets if you’re not able to make the games. Players also get the opportunity to win ‘Free Bingo for a Week’ when they spend £10 on bingo on a Thursday, these players will gain instant entry into the draw to win a whole week of free bingo! Friday arrives and it’s time for the £3000 Accumulator which will keep you busy between 7pm and 11pm. The pot begins at £500 but steadily increases by £100 every hour reaching £9000 by 11pm! Again, you can pre-buy tickets for this game which you will find as ‘The Big One’ in the pre-buy section. If you can’t go out on a Friday don’t worry as Paddy Power like to put on a bit of a party with their Naughty Nights each week. The Sapphire room plays host to some Naughty Night action between 9pm and Midnight every Friday where you can win lots of BBs and have some cheeky chat with your fellow roomies. All players who spend £10 on bingo gameson a Friday get a free £1 bonus so there’s a more than one good reason to visit Paddy Power this Friday!